Belgian architect Vincent Van Duysen has designed the Molteni Group Flagship Store, which opened at 160 Madison Avenue during NYCxDESIGN. Pictured here is Gio Ponti's D.859.1 table in ash wood stained black. Image courtesy of Molteni Group. 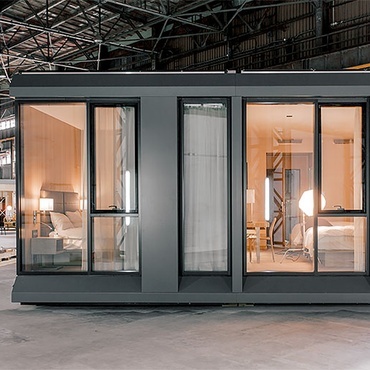 New York City’s bustling NoMad Design District has welcomed its newest resident in concert with NYCxDESIGN—and they’re packing quite the punch. Italian furniture brands Molteni&C, Dada, and Unifor have inaugurated a 12,500-square-foot showroom dubbed the designed by Belgian architect Vincent Van Duysen. 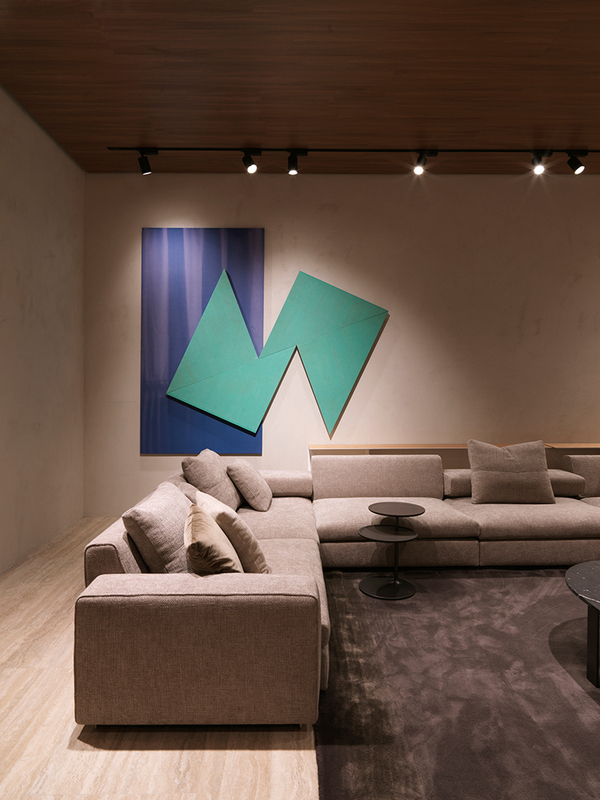 Not only is the bilevel Madison Avenue storefront a major upgrade from the brand's much smaller SoHo showroom, but it marks the first time all three Molteni brands are showcasing their furnishings in the same space. 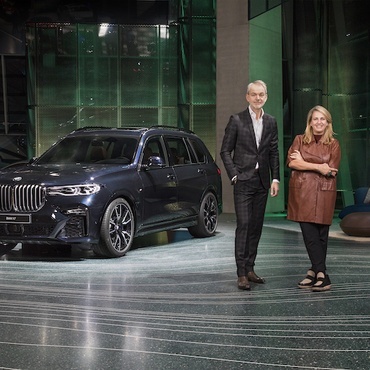 And according to Van Duysen, who assumed the title of creative director in 2016, harmoniously blending all three brands' distinct identities within one cohesive space was no easy task. 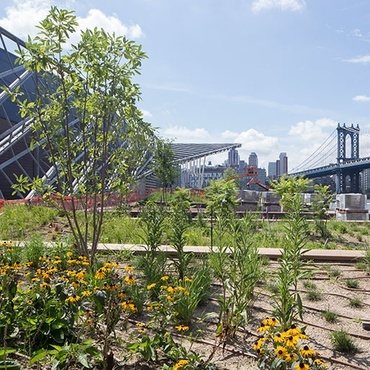 The once-vacant space, punctuated by rotund concrete columns, was “totally soulless,” he admits. But it was no match for Van Duysen’s elegant use of natural materials and mastery of minimalism. The structural columns were integrated into the layout, becoming statement pieces that complement the material palette. 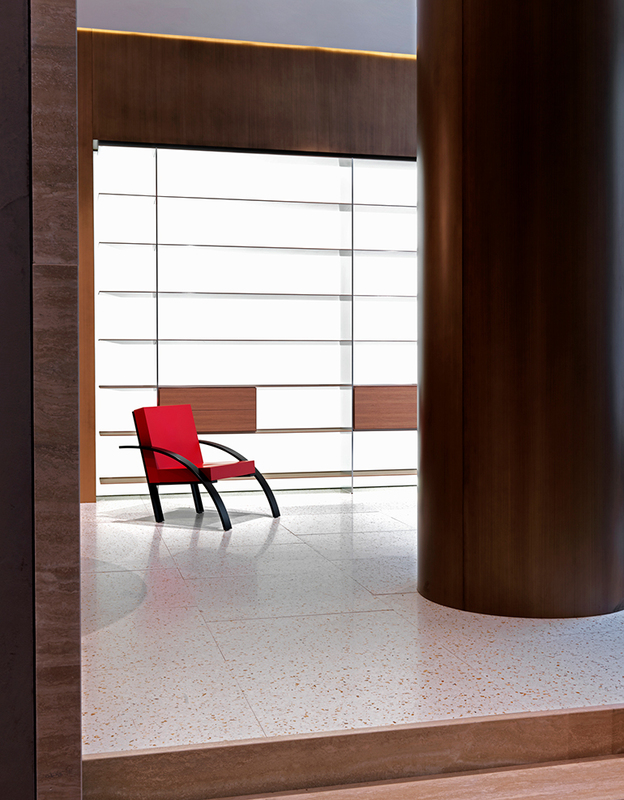 Upon entry, guests are immediately greeted with flooring in travertine, the same material cladding reception’s arcade-like portals. 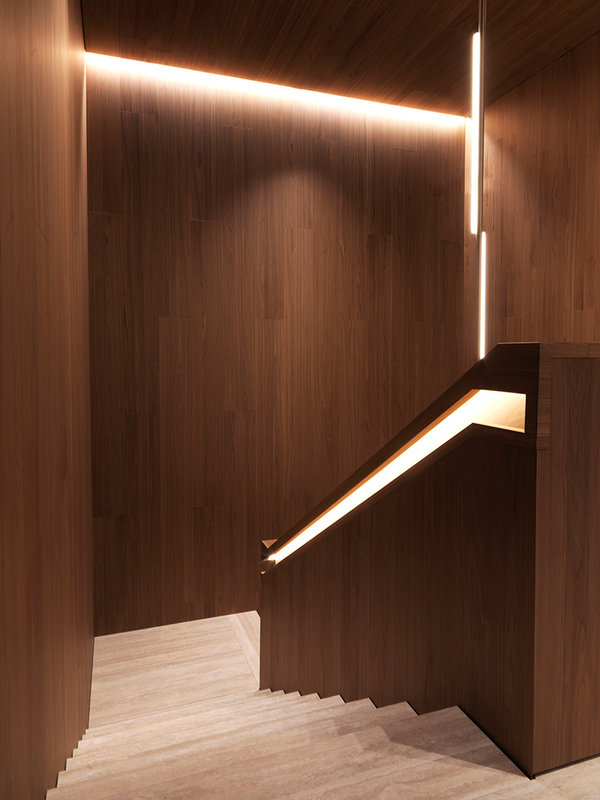 It seamlessly transitions into the pièce de résistance, and Van Duysen’s most treasured part of the showroom—the walnut staircase. 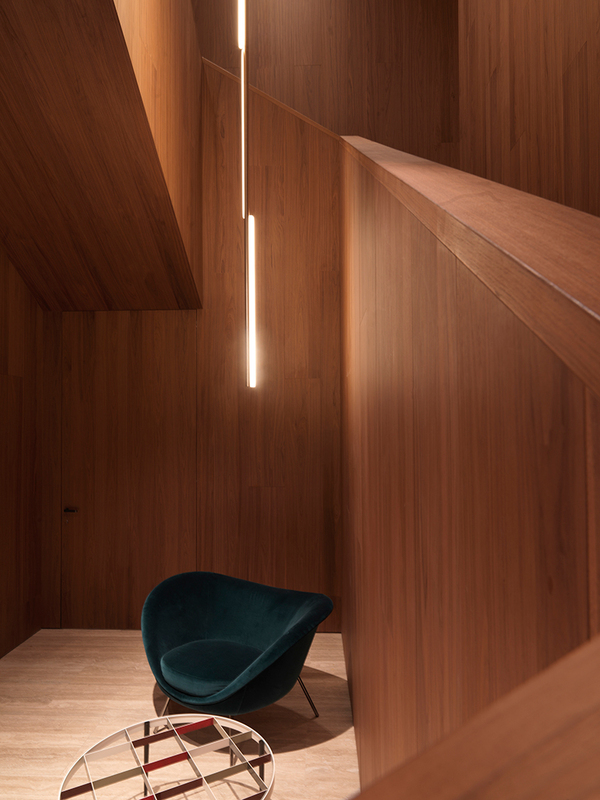 It envelops a slender Michael Anastassiades pendant fixture that descends to the basement level, where artfully arrayed vignettes of Molteni furnishings take pride of place. But the brand’s luxury offerings by such blue-chip names as Gio Ponti and Jean Nouvel aren’t the only items on display. 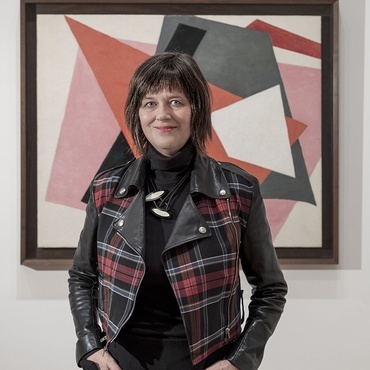 Van Duysen tapped renowned curator Caroline Corbetta to showcase a selection of paintings and sculptures by up-and-coming artists—transforming the entire showroom concept into an art collector’s house—where old merges seamlessly with new. Below, Van Duysen divulges how the showroom’s design originated, what materials he considered, and what to expect from Molteni in coming months. 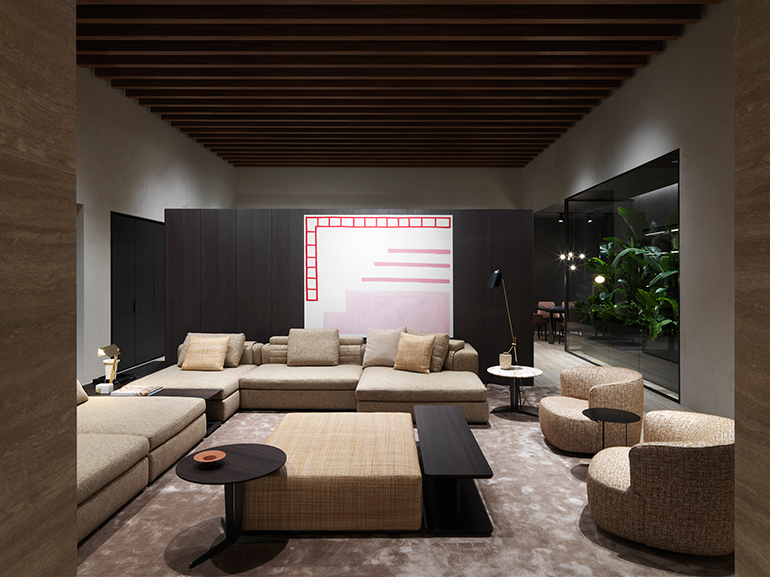 The Molteni Group Flagship Store marks the first time Molteni&C, Dada, and Unifor products share a showroom. Image courtesy of Molteni Group. How did you approach the showroom’s design? What were some initial ideas? The space was a big, empty box with concrete columns—totally soulless—so I wanted to channel Milanese architecture and bring the allure of an Italian palazzo, villa, or mansion. I also needed to infuse Molteni’s DNA into the space. What materials did you explore? In my work, I pay close attention to materials and textures. I rarely use artificial materials—only natural. Here, we focused on materials native to Italy. We used travertine for arcades and flooring, warm Italian woods, and stuccos and cement wall treatments in muted pastels. A monumental staircase in American walnut sits behind reception. Image courtesy of Molteni Group. Were there any challenges in designing a cohesive space that blends Molteni&C, Dada, and Unifor’s distinct identities? This is the first time the three brands unite for one showroom. 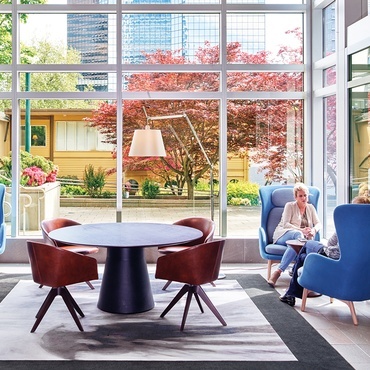 We’re presenting Unifor’s furnishings in a more domestic environment while still respecting the brand’s DNA and not bringing the products out of their comfort zone. We’re trying to demonstrate that Unifor can coexist with the more residential Molteni/Dada family. 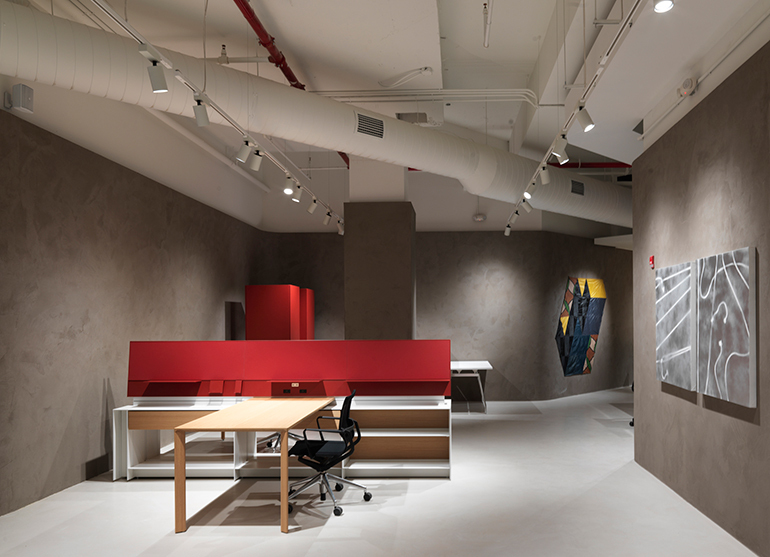 How does designing a showroom in the U.S. differ from Italy? While logistically the U.S. showroom was more complex, the execution was far quicker. We were shocked by the efficiency—our overall time frame was only four months. A Michael Anastassiades pendant fixture hangs above a Gio Ponti chair. Image courtesy of Molteni Group. 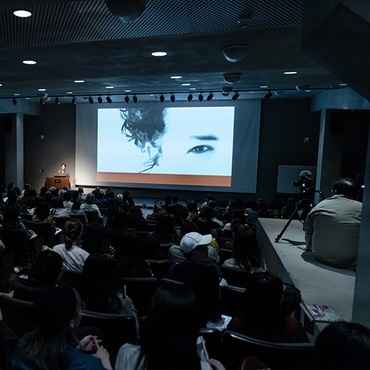 What did you learn collaborating with Caroline Corbetta on the art curation? Caroline champions emerging talent. I wasn’t familiar with most of the artists since they’re so new, but I’m so happy with how it turned out. Art presents different perspectives and opens everyone’s mind. 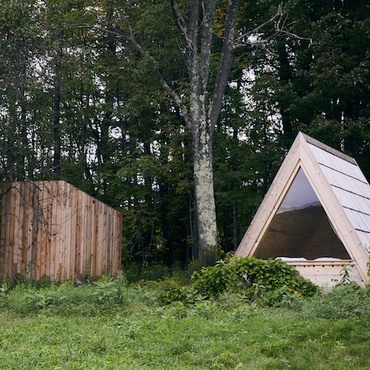 I love how each piece stands completely independent from what my architecture tries to accomplish. 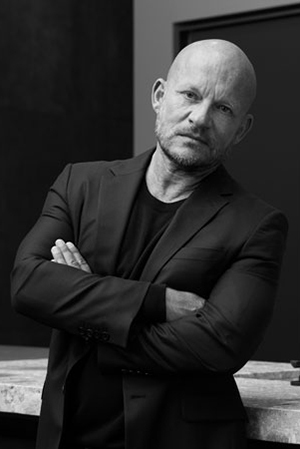 Tell me about your experience so far as the creative director of Molteni. These have been two very exquisite and intensive years. At first, I was nervous as a non-Italian being the creative director of such an iconic brand so deeply rooted in Italian tradition. I’m not a product designer by trade, but I’ve accumulated so much knowledge doing residential work for 30+ years, so I’m trying to transmit this through Molteni. Alek O. 's Marisa wall-mount in stretched cotton and stretched acrylic fabric presides over a Molteni sectional in the basement. Image courtesy of Molteni Group. We’re trying to make the brand more dynamic and interactive with the public. Also, I just renewed my contract as creative director for three more years! A kitchen display features black lava stone counters and backsplashes. 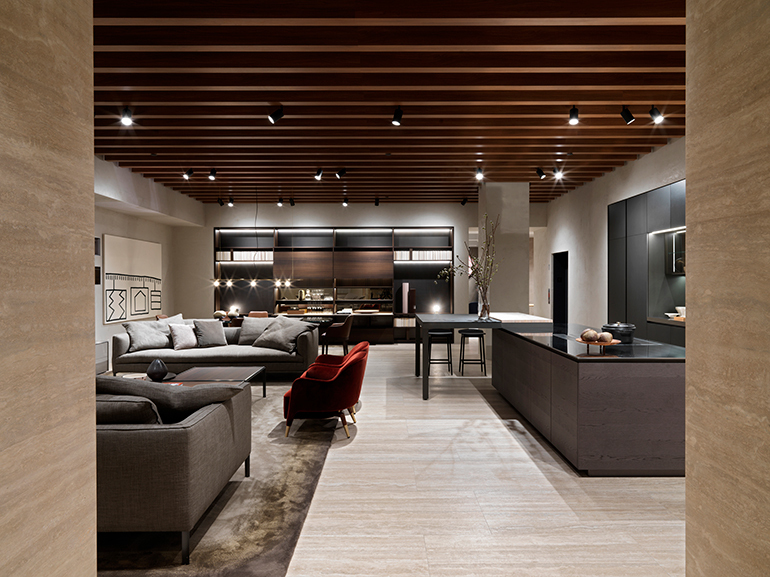 Image courtesy of Molteni Group. 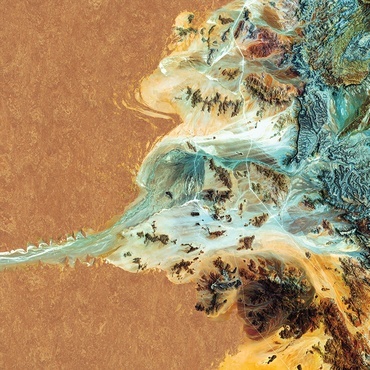 Two Jacopo Miliani artworks face a Unifor workstation. Image courtesy of Molteni Group. Van Duysen incorporated the space's existing structural columns into the final design. Image courtesy of Molteni Group. 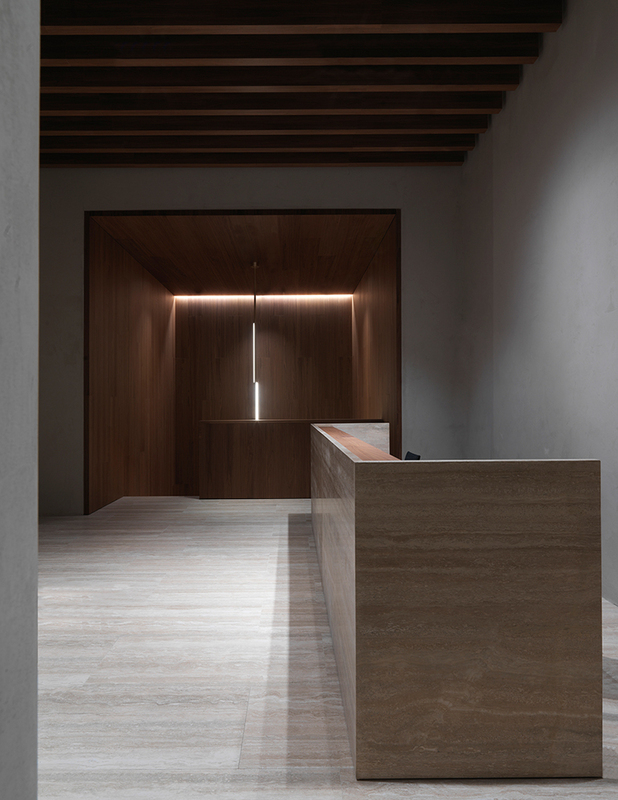 The Molteni Group Flagship Store's interior detailing takes cues from Vincent Van Duysen's signature minimalist style. Image courtesy of Molteni Group. American walnut clads the staircase. Image courtesy of Molteni Group. Stephen Felton's Acrylic on Canvas complements a duo of Helene lounge chairs. 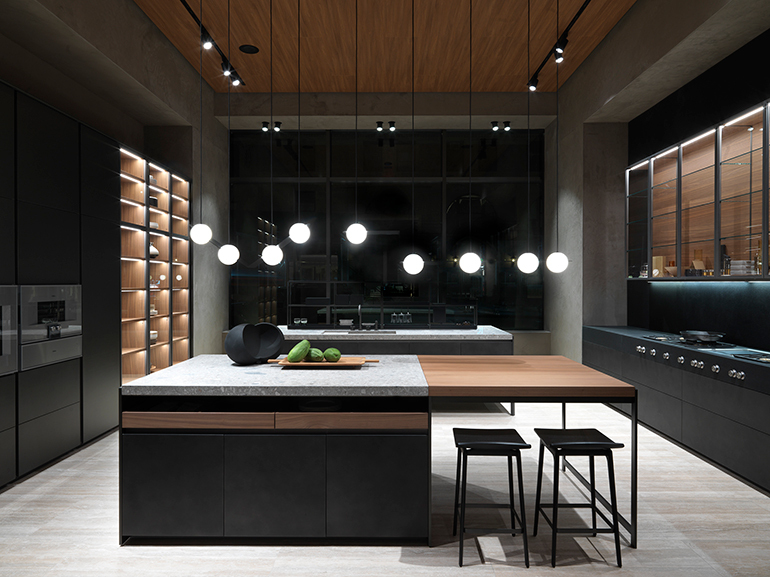 Image courtesy of Molteni Group. The Molteni Group Flagship Store is located at 160 Madison Avenue in New York City.